I supply and complete all the legal paperwork and lodge them with the Registrar of Births, Deaths and Marriages in the appropriate state. I compose your wedding ceremony, working with you both to develop a ceremony personally tailored to your wishes. You may like to use my resource material to choose your Vows, Readings & Poems or you can supply your own words and write your own vows if you wish. Meetings, phone calls, emails and stationery as required. Conduct a rehearsal at the venue a few days before the ceremony if required. Perform the ceremony and solemnise your marriage according to Australian law. I supply a signing table & 2 chairs with covers and a PA system if required. A beautiful & unique hand-made presentation copy of your ceremony for you to keep. Fees for wedding services include 50kms of travel being a 25km radius of Magill. Excess travel may be charged at $0.50 per km but will be negotiated as needed. I have a range of fees and ceremony options which I am happy to explain in more detail at an obligation free meeting or over the phone. Full Service Wedding includes all of the items listed under “Services”. This option is designed for those couples who have up to 10 guests and would like something short & simple but still lovely. It is a pre-written ceremony and has choices within it. There are some restrictions with this ceremony and I am happy to discuss them with you. Some people want the “Legal Wording Only” type of ceremony - Sometimes referred to as an "elopement" or a "registry-style" ceremony. This is extremely short, taking only a few minutes & there are no frills. You could add your own vows to make it more personal to you. There are also some restrictions with this ceremony. 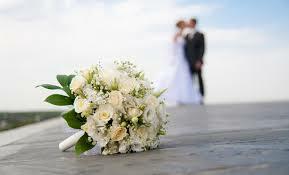 All weddings require a set deposit to secure your date and time. The deposit is not refundable and is to be paid at our first meeting once you have selected me as your celebrant. The balance of the fee must be paid 2 weeks before the ceremony. If you require a letter for a Prospective Marriage Visa Application there is a fee of $15 for this. I offer you a complimentary & obligation free meeting if you would like to meet me before deciding on your celebrant.